Sneaking some greens in with your fruit is a smart choice to up your intake of greens throughout the day. With the fruit providing the main flavor, the greens are hardly noticeable. 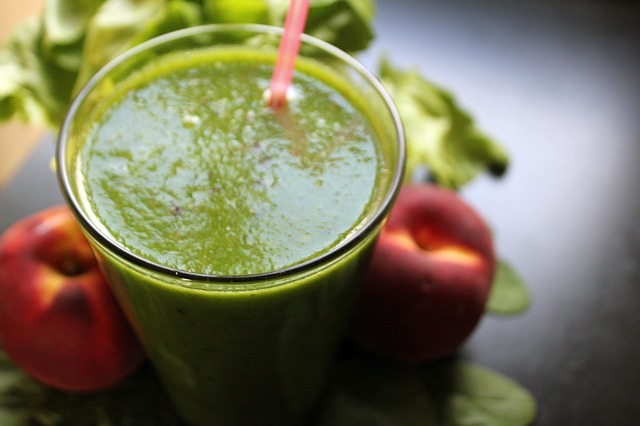 Put in the blender, half fruit of choice with half green leafy vegetable of choice along with water or additional fruit juice. Choose any greens you like with some celery to aid in digestion.